Virtual Reality (VR) training is not new to government. The Defense Department has been using it for years to create a realistic environment for training soldiers on expensive combat equipment and preparing them for new terrains and environments. Civilian agencies have begun using VR and Augmented Reality (AR) to better connect with citizens, making interacting with government services feel like playing a video game. Taking the lessons learned from Fortune 500 companies, the government can now extend their use of VR to general workforce training. There are a number of upcoming conferences and events that look into how best to train federal employees to adapt to current and future workforce needs. Preparing your Agency for AI and Automation (April 3, 2019; Washington, DC) - Produced by 1105 Media, this workshop will map the latest AI developments, detail the lessons learned by early federal adopters, and talk through the challenges that must still be addressed. Federal executives will lead the discussion around AI's ability to automate low-value work, talent, and workforce considerations. 2nd Annual Workforce Development Conference (May 9, 2019; Washington, DC) -- Graduate School USA designed this conference to provide information on how to help agencies achieve their missions through innovative solutions. It will examine the tools and techniques to develop a workforce that can support a more efficient government. Conference sessions will be led by 2018 Deming Prize-winning agencies, detailing how they improved organizational effectiveness through training and education. ELGL 2019 Annual Conference (May 15-17, 2019; Durham, NC) - Focused on local government, this event will bring together government leaders from across the country to share their experiences in innovating processes, policies, and procedures to meet the modern needs of citizens. The event includes a full track on the "workforce of the future" that will look at the latest ways that cities across the country are experimenting with their workforce and discuss the changing nature of our places of work. ATD International Conference and Exposition (May 19-22, 2019; Washington, DC) - The Association for Talent Development hosts this far-reaching conference, covering all industry sectors. The expo provides attendees with the knowledge, strategies, and solutions needed to effectively attract, develop, and retain top talent. Oprah Winfrey will be one of the keynotes that will bookend the many tracks including a government track as well as learning technology and training delivery sessions. Workforce Summit 2019 (September 10, 2019; Washington, DC) -- To help agencies recruit, retain, and reskill top tech talent, the White House has committed to developing a 21st-century workforce, introducing new hiring authorities and talent development initiatives. The summit will bring together C-level government and industry leaders to look at how the federal government is working to fill critical skills gaps, enable a more efficient and effective workforce, deliver on its mission and better serve citizens. Let us know if there are other events that detail how to best use technology for training employees to work in a more automated and digital workplace. Share your thoughts in the comments. 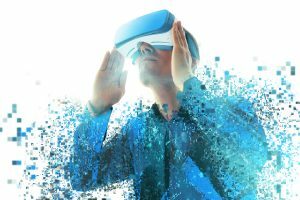 This entry was posted in Event News, Gov/Mil News and tagged augmented reality, Tags: virtual reality, training, workforce by Kerry Rea President of GovEvents. Bookmark the permalink.